Please take a moment and review a few of my client testimonials to gain a better understanding of how I intend to provide you the best possible service! I work really hard to insure you are happy with every step of the transaction. Aiming above all expectations!! I look forward to working with you, your family and friends! 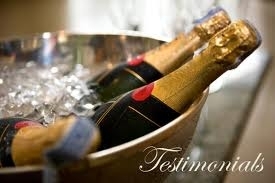 "Guy, We can't really express how much we appreciated your professional help as our REALTOR. Even after several months of not being able to find the right house, you never stopped working for us and your high energy and positivity were contagious! Without your help we'd have probably given up months ago, and we wouldn't have gotten such a fantastic deal on our new house. Your tireless efforts really speak to your professionalism and how hard you work on behalf of your clients. We absolutely will (and have!) recommend you to anyone who is looking to purchase a home. Thank you for making this experience memorably and enjoyable, and for working weekends and evenings to accomodate our schedules. You went miles beyond the call of duty, and we're so thankful we had you on our side. All the best, ~Mandie and Mel Zoller"
Guy, It's not just words - we truly feel this way. Thanks again for all your hard work. As first time home buyers, we needed a REALTOR who would be available to lead us through the process from start to finish. Our initial gut feeling about Guy was that he was an honest, hard-working family man. After successfully purchasing our home, we feel totally confident that we got the best deal our money could buy and most definitely we can attribute that to Guy’s professionalism and his extensive real estate knowledge. We chose several homes at a time to view and Guy set up appointments on Saturdays and Sundays, never making us feel as if we were inconveniencing him. In fact, we really enjoyed spending time with Guy and Guy... we wish you were our neighbour too. Without hesitation, we would and will absolutely recommend the real estate services of Guy Cooley to everyone we meet. Alan and Gail Proud new Home Owners in Airdrie, AB. Working with Guy on the recent purchase of my home was a completely hassle free experience. Guy understood my needs right from the start of the search process by pre-qualifying me and from then on he was very attentive in meeting my every need. On several occasions while viewing properties, Guy pointed out things with the property that I would have never noticed. His valued honest advice helped me weed though my top list of properties and made my final decision much easier. I was relieved that I had Guy alongside during my search. Guy is very reliable and professional, and a REALTOR that I will continue to use and recommend to friends and family when I hear of anyone looking at buying or selling real estate in and around Calgary. I could not believe the over and above service Guy Cooley provided myself as a client. Guy is a great listener and works to understand the needs and wants of his clients. As a result I was able to purchase my very first home which is everything I could have wanted! I will and do recommend Guy Cooley as a professional Realtor in the Calgary area. Thank you very much for everything Guy! My parents will be working with Guy in the upcoming months as they were also very impressed with him through the process. Thanks Guy Cooley! This is my second transaction within a year (with you) and again I am impressed with your kind and sincere manner. This transaction was a very stressful one for me personally. With the market slowing down, the buyers are slow and picky - lots of inventory, and my home was just one of the 100 in the community. We sold our home to our third showing... and finalized the deal in 24 days!!! Thanks to this transaction I am able to focus on my next step and move into my new home. You have impressed me with your flexibility, your desire to succeed and your sincerity to ensure the deal goes smoothly. Your honest feedback is what I believe makes you stand apart from the competition. I know my friends are impressed and have taken your name! Thank you again! Trevor. Thank you so much for everything! Thanks for just being there for us and understanding our needs. We really appreciate everything so much. If you are ever in N.B. come and visit! "I never thought I strike up a great friendship with a realtor from calling a sign in front of a house that I was curious about. This started the process of what turned out to be profitable and rewarding experience. I wanted to let anyone who is looking for a realtor to seriously consider Guy Cooley. You will be surprised at the attentitiveness and sincerity of this realtor when it comes down to you, the client. He sincerely works in your best interest in every step of the way. I had the great fortune of selling my condo and buying a house with Guy, and he brought me one of his own clients who ended up buying my condo on the first night and so close to list price too! Then when I bought a house, his advice saves me thousands of dollars and his expertise into the buying process was second to none. To this day, Guy always keeps in touch. I have referred many people to Guy, but as everyone knows, finding a good realtor is difficult, and when you do, you have them for life. So if you were like me, or you were unhappy with the level of service from your previous realtor, call my friend Guy Cooley... you won't be disappointed. You will feel like you are his only client - and that, to me is worth it." I would have to say, our Realtor Guy Cooley went out of his way for us. Guy did allot of continuous work and he goes the extra mile to get the job done. Guy is very reliable, friendly, honest and is always looking out for our best interests to make sure we were protected every step of the way. We ended up selling for FULL PRICE, thanks Guy!! During this sometimes-stressful time Guy’s efforts to keep us positive during the selling process were just what we needed. We used Guy to buy our new house as well and he spent endless hours with us to show us house after house until we found the one that was right for our family. If you want to have a positive, professional and pleasant time buying and selling your home, I would highly recommend Guy Cooley. He is our #1 realtor! I would like to THANK Guy Cooley for the effort he put into selling my House in Calgary. Not only did he help us sell our house,he went the extra mile in fixing the little things that made my house so attractive to sell. In our opinion; by far the best REALTOR out there. If I ever sell my house again, Guy Cooley will be the FIRST PERSON THAT I CONTACT. This Gentleman knows his stuff and will go the extra mile for you and your family. Thanks Again GUY. I would like to add our family to the list of very happy clients who sold and bought a home with Guy’s assistance. We have very little experience in the real-estate market and were quite nervous about the sale of our home. Guy was there for us throughout the entire process. There was never a phone call or a question that went unanswered. Guy was exceedingly patient, honest, friendly and helpful every step of the way. His knowledge and expertise of the Calgary market was very extremely important when were reviewing our options. If we ever sell or buy another home Guy Cooley will be our first choice. It is without hesitation that we recommend Guy to anyone wishing to buy or sell a home. I used to strongly dislike realtors, acknowledging them as a necessary evil when purchasing a home in the current hot real estate market in Calgary. Then I met Guy Cooley. His professional manner, attentiveness and sincere desire to help me find the right home at the best possible price have redeemed the real estate profession in my eyes. Guy acted as my agent both in the purchase of a new home and the sale of my existing home. Not only do I consider him a top notch realtor, but his warm, caring and cheerful personality have made him a friend as well. You can’t go wrong with Guy on your side!